They change the world as we know it. They had the same mission to organize all the world information and make it available to every one of us through the power of technology in an industry where innovation is just a part of the job description, Larry Page and Sergey Brin have become the virtual master of the universe in information. Today we talk about one of the most innovative influential and powerful entrepreneurs; Larry Page, and this is his biography. 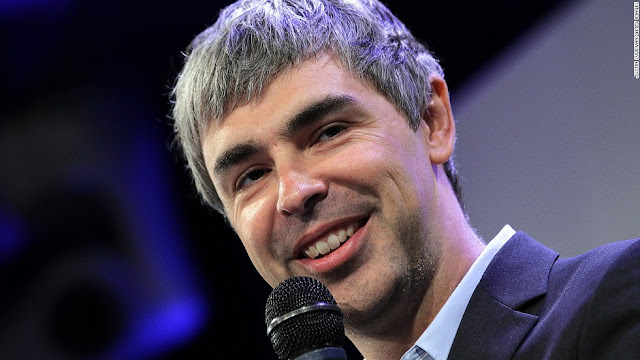 Larry Page was born on March 26th in Michigan his father Carl Victor Page was a pioneer in computer science and artificial intelligence (AI) and his mother told computer programming. 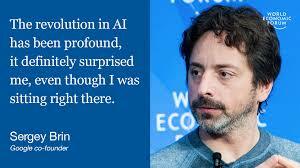 After learning a bachelor’s degree in engineering from The University of Michigan, Larry Page decided to concentrate on computer engineering at Stanford university that he met Sergey Brin as a research project at Stanford University, who page and print create of the search engine that listed results according to the popularity of pages, after concluding that the most popular result would often be the most useful, they called the search engine GOOGLE, after mathematical term googol which refers to the number 1 followed by hundred zeros (10100), to reflect their mission to organize the immense amount, after raising $1 million from family, friends, and other investors, Page launch the company in 1998. Google has since then become the world’s most popular search engine, receiving an average of 5.9 billion searches per day headquartered in the heart of California’s Silicon Valley, Google held its IPO in August 2004, making Larry Page and Sergey Brin as one of the youngest billionaires. In 2006, Google purchased one of the most popular websites YouTube for $1.65 billion. In September 2013, Larry Page was ranked number 13th on the Forbes 400 list of richest people in America, that October he was ranked number 17th on Forbes most powerful people list. As Google’s CEO, Larry Page shares responsibility for the company’s day to day operations with Sergey Brin, who served as director of special projects for Google. On 10th August 2015, Larry Page and Sergey Brin announced the creation of a new parent company ALPHABET, to oversee Google and other subsidiaries, Larry Page and Sergey Brin was said to serve as the new company’s CEO and president, respectively. Well, Larry Page and Sergey Brin have changed the way we get information, they are very determined, innovative, rule-breaking Stanford droppers. The two-game changers in the tech industry.